It’s been almost two years since the release of previous Skyharbor album Guiding Lights via Basick Records, which included current TesseracT singer Dan Tompkins. With the change of vocalist and drummer (Tomkins was replaced by Eric Emery, and drummer Anup Sastry by Aditya Ashok), the band put out three singles: “Out of Time” (August 2015), “Blind Side” (June 2016), and most recently they launched a video for “Chemical Hands” which also announce the band’s upcoming full-length release. Skyharbor played at this year’s Euroblast Festival on October 1st, and Prog Sphere‘s team comprised of Milian Steffen and Yannick Kohl did an interview with guitarist Keshav Dhar. 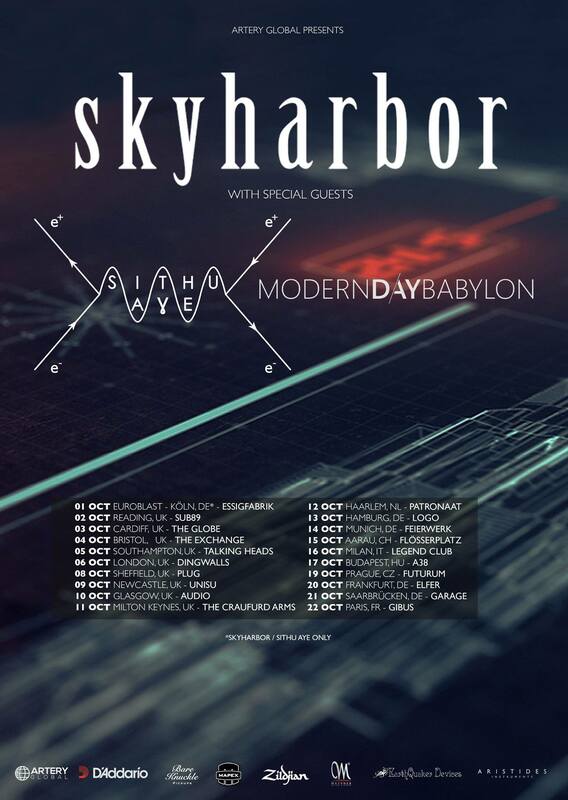 The band is currently on a European tour with Sithu Aye and Modern Day Babylon. About performing at the Euroblast, the new material and touring Keshav told us in a video interview. Check it below.